The franchise began as the Cleveland Rams in 1936 in Cleveland, Ohio. The club was owned by Homer Marshman and featured players such as William "Bud" Cooper, Harry "The Horse" Mattos, Stan Pincura, and Mike Sebastian. Damon "Buzz" Wetzel joined as general manager. After winning the 1945 NFL Championship Game, the franchise moved to Los Angeles in 1946; becoming the Los Angeles Rams. It made way for Paul Brown's Cleveland Browns of the All-America Football Conference and becoming the only NFL champion to play the following season in another city. The club played their home games at the Los Angeles Memorial Coliseum from 1946 until 1979. Following the 1979 NFL season, the Rams relocated to the Los Angeles suburb of Anaheim, where they moved into a reconstructed Anaheim Stadium. 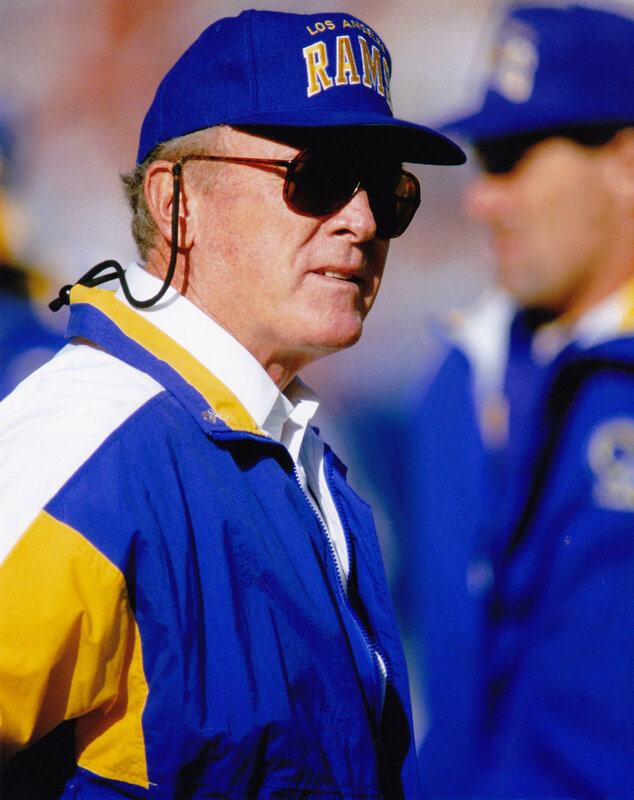 After the 1994 NFL season, the Rams left California and moved east to St. Louis, Missouri. 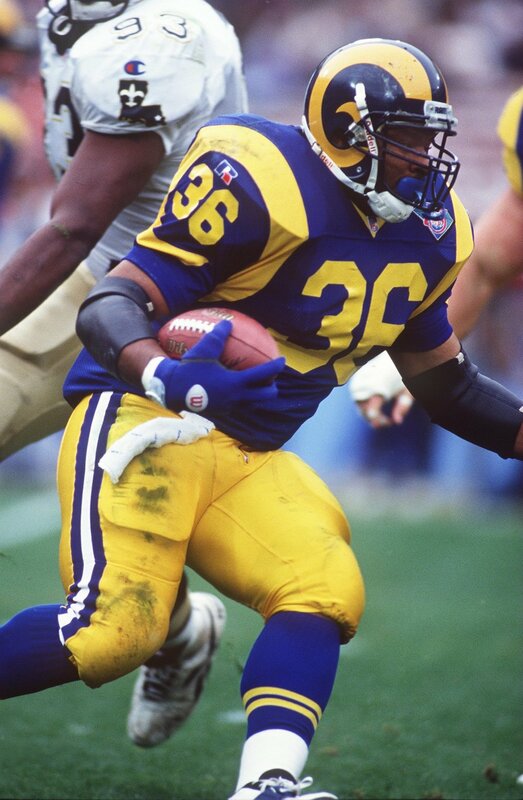 Five seasons after relocating, the St. Louis Rams won Super Bowl XXXIV in a thrilling 23-16 last-second victory over the Tennessee Titans. The Rams continued to play in the Edward Jones Dome in St. Louis until the end of the 2015 NFL season, when the team filed notice with the NFL of its intent to pursue a relocation back to Los Angeles. At an owners' meeting in January 2016, the move was approved by a 30–2 margin, and the Rams announced their intent to return to the city of the Angels for the 2016 NFL season. 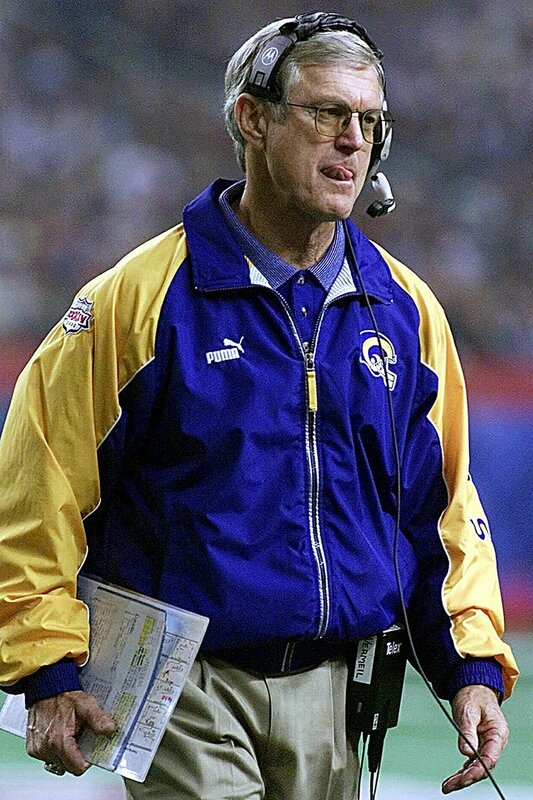 Thus becoming once again, the Los Angeles Rams.